Sleek and modern, the Reko 8 Chest of Drawers by Rugiano is hand-crafted using the finest materials. Upholstered in high-quality Pelle or lacquered leather, Reko combines modern Italian elegance with a clever design solution. 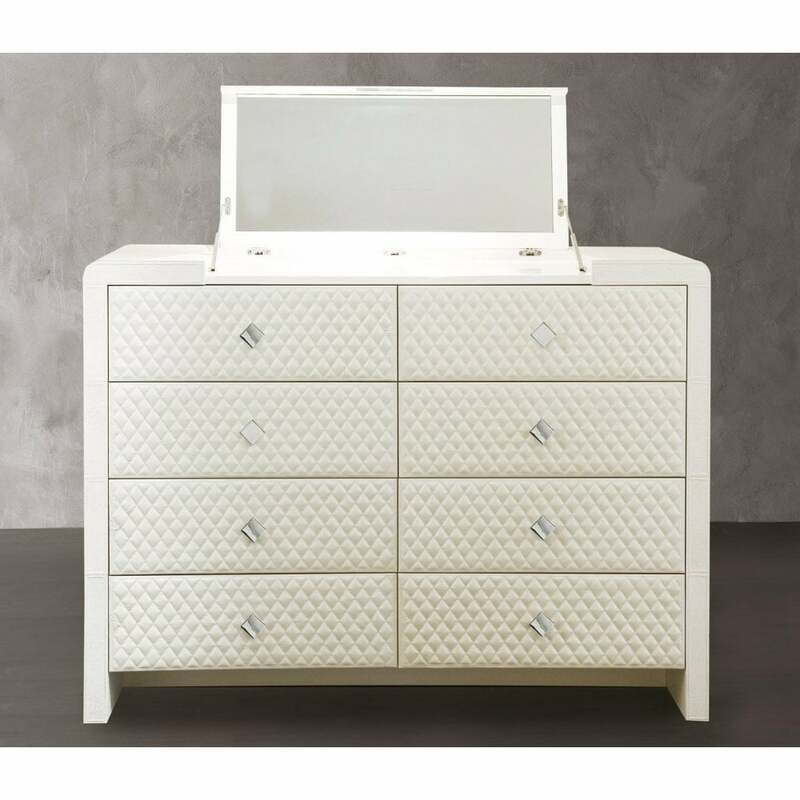 The tall chest of drawers has six deep drawers with a quilted pattern and hand-stitched detailing. Finished with steel or bronze diamond shaped handles, use to store clothing, accessories and beauty products. Ideal for smaller spaces, Reko features an in-built mirror, perfect for getting ready in the morning and evening. Combine with the Braid Bed and other furniture pieces in the Reko range to create a tranquil bedroom scheme that exudes Hollywood glamour. Striking in an ivory shade, Reko is available in a range of bespoke finishes. Get in touch with our team to discuss further options.